I do not know how any historical development and events such as those described in the article below can create such a sensation in their time, yet fly so low under the popular radar in the present, even within the confines of the Christian church. I pray the triune God that this translation helps to put this significant historical blip back on the screen, and that souls redeemed by Christ’s blood thereby also derive the rich spiritual benefits that familiarity with these events is sure to breed. I translated David Erdmann’s article below from the Real-Encyklopädie für protestantische Theologie und Kirche, 2nd ed. (Leipzig: J. C. Hinrichs’sche Buchhandlung, 1884), vol. 13, pp. 323-335. The endnotes are mine. As with many scholarly writers of the time, Erdmann, wittingly or not, writes not just to communicate information but also to show off his scholarship and linguistic mastery. Even with my efforts to untangle and simplify his sentences, an extra measure of concentration is likely required in order to read with comprehension. Here and there Erdmann did not carefully reproduce what he read. Some corrections I have made in the text; others I have relegated to the endnotes. Where I was unsure of Erdmann’s information (as, e.g., with the name of Archbishop Paris Hadrian, which most online sources give as Paris Count von Lodron), I left his material alone without comment. In the first part of his article he sets off important names with increased spacing (equivalent to italics today, including in this translation). But as the article continues, the practice falls off. I attempted to make the practice more uniform throughout. He mentions nothing of the few hundred Salzburg emigrants who sailed overseas and founded two different settlements named Ebenezer in Georgia, U.S.A. – the first along Ebenezer Creek in 1734 and the second along the Savannah River in 1736, after the first site failed. Erdmann has a palpable Protestant bias. True, it is not wrong to write with bias. Contrary to the opinion of many historians, there is such a thing as a correct historical bias, and strenuous attempts to write completely unbiased history will inevitably result in completely uninteresting and unreadable history. However, the bias ceases to be helpful when it affects one’s presentation of the facts and casts doubt on the veracity of the material. Erdmann’s strong bias calls the factuality of several of his anecdotes into question, especially toward the end. In reading this article, it will help the reader, first of all, to familiarize him- or herself with the geography of the Archbishopric of Salzburg (today western Austria) – which purpose I hope the map inserted below will serve. The Salzach River (somewhat redundant, since Ach comes from the Latin aqua meaning water) with its many mountain tributaries was more or less the backbone of the territory. Secondly, it will help to orient oneself southward instead of northward when thinking of the territory geographically. Since Salzburg, the capital city of the archbishopric, was in the northern part of the country, with the Salzach flowing down toward the city from the Central Alps in the south and southwest, this is also the way the Salzburg mind and the mind of the German foreigners to the north oriented themselves. “Going up” in the archbishopric generally meant going down on a map, and vice versa. As Mack Walker points out in The Salzburg Transaction, this separation, distance-wise and geographical formation-wise, was certainly one of the chief contributors to the failure in communication, or in helpful communication, between prince-archbishop and subjects. It also doubtless contributed to the surprise and sensation when the subjects were expelled, as hundreds and thousands of people, hitherto both out of sight and out of mind, came pouring down out of the mountains to give the Western world a religious wakeup call. Johann Baptist Homann, The Principality and Archbishopric of Salzburg in the Holy Roman Empire (Nuremberg, 1716). I have superimposed symbols representing places mentioned in this article. Key: PROVINCES (sym. white dotted ovals): Salzburggau (T), then (L to R) Pinzgau, Pongau, Lungau. VALLEYS (sym. green mountain, L to R): Tux(er), Ziller (mentioned in “Sources and Literature” at the end), Krimmler Achen, Defereggen, Fusch, Gastein. DISTRICT SEATS (sym. black courthouse, T to B): Mühldorf, Werfen, St. Johann, Radstadt, Wagrain, Gastein, Windisch-Matrei. OTHER CITIES or market towns (sym. orange city silhouette, L to R): Mittersill, Altötting, Schellenberg, Dürrnberg, Schwarzach, Schladming in Styria. The SALZACH River is represented by the two blue symbols, and the city of SALZBURG with its Fortress Hohensalzburg by the castle. Note that clicking on the image will take you to a higher definition close-up where the symbols are not included. Salzburgers, the Evangelical. Fairly early in the beginning of the Reformation period, the bright light of the gospel had already broken into the marvelously beautiful and majestic Alpine region of the Archbishopric of Salzburg with its four chief divisions. From the time of Charlemagne these divisions bore the names Salzburggau, Pinzgau, Pongau, and Lungau.1 The good news that people are saved only by the grace of God in Jesus Christ had especially found a glad reception among the down-to-earth, honest people living in the gorgeous Salzach Valley and the numerous adjoining valleys to the south, particularly the Krimmler Achen,2 Fusch, and Gastein Valleys, from the archiepiscopal seat of Salzburg right up to the vast, rocky wall of the High Tauern Mountains with their snow-capped peaks and far-flung glaciers. This populace was made up of tillers of the soil, shepherds, foundry workers, miners, and merchants. We know that early Hussite teachings had already infiltrated these valleys and were welcomed with full approval by their spiritually active inhabitants, who were dissatisfied with the church’s superficiality. As proof of the wide dissemination of these teachings, Archbishop Eberhard III already felt compelled in 1420 to issue a stern decree in order to suppress the “Hussite heresy” that had infiltrated his archbishopric. Both through the early reformatory writings of Luther and through Saxon miners who had sought and found work in the renowned ore and rock salt mines and in the marble quarries, the first news of the dawning of the new day made its way into these mountain valleys. There the seed of the pure word of God found fertile soil in minds that were open and receptive to the truth. Albrecht Altdorfer (? ), Archbishop Cardinal Matthäus Lang von Wellenburg, oil on vellum on mahogany wood, 1529. 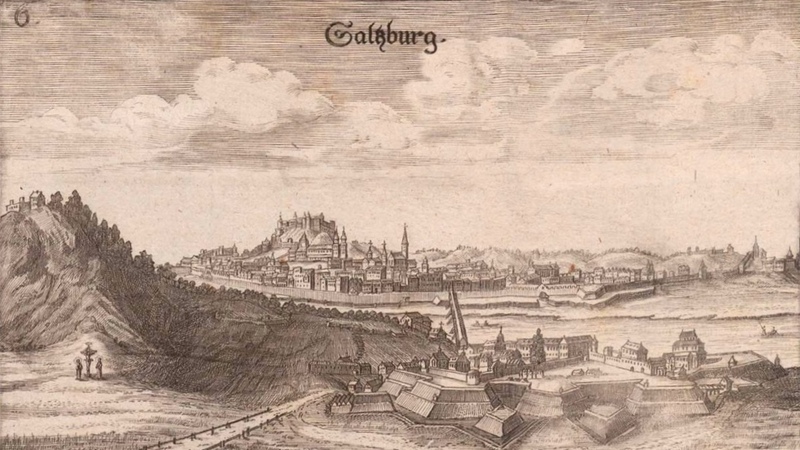 Frantz Dückher, Saltzburg, copperplate engraving, 1666. The city is viewed from the north with Capuchin Mountain in the foreground on the left, the Salzach River dividing the city, and Fortress Hohensalzburg, the symbol of the archbishop’s power, on the hill in the background overlooking the city. The Benedictine Abbey at St. Peter is represented by the two lower steeples to the immediate right of the taller twin steeples of the Salzburg Cathedral. The tallest single steeple, to the right of the abbey, belongs to the Franciscan Church. Toward this “miserable monk” the haughty archbishop, who was skilled in all the diplomatic arts of both the political and ecclesiastical spheres, at first did not adopt an unkind attitude. He allowed Luther’s writings access to his territory. 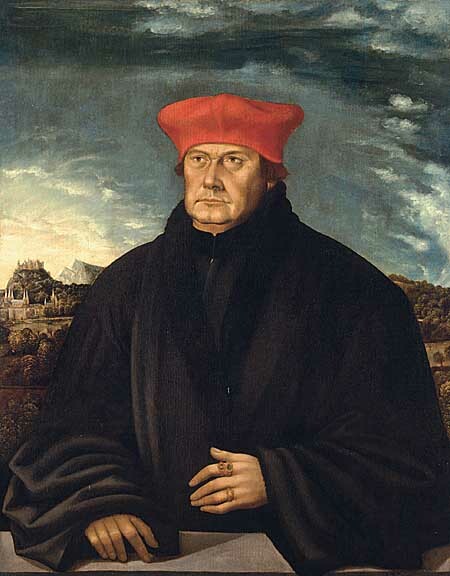 Luther himself still had enough of a favorable opinion of him in 1519 that, after his negotiations with Karl von Miltitz, he repeatedly names the Archbishop of Salzburg as one of the bishops to whom he would like to surrender his case for an arbitrational verdict (de Wette, Dr. Martin Luthers Briefe, Sendschreiben und Bedenken, nos. 108, 112, 115).4 That same year Lang called Johann von Staupitz to be his court chaplain, the man who had shone the first gospel ray into Luther’s soul through his spoken consolation and had defended and strengthened Luther in Augsburg in 1518 over against Cardinal Cajetan. Staupitz subsequently resigned his post as vicar general of the Augustinian Order, and a few years later Lang even prompted him to leave this order and join the Benedictine Order and become the abbot of the Benedictine Abbey at St. Peter in Salzburg (1522). Lang took Paul Speratus into his personal service by calling him to be the cathedral preacher at the archiepiscopal cathedral. 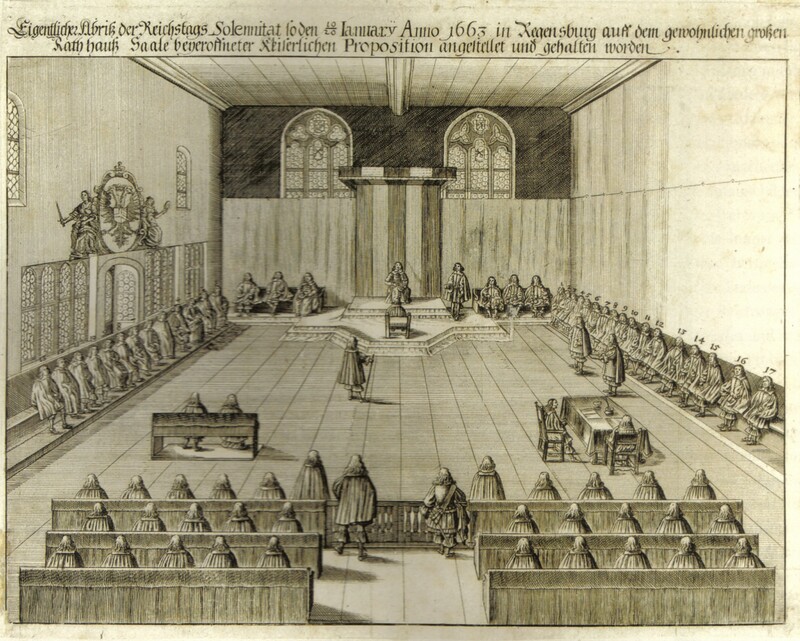 Speratus had met with hostility as the chapter preacher in Würzburg on account of his undaunted, vigorous proclamation of the evangelical truth, and had been banished from there as a result. And in Salzburg Speratus proclaimed the gospel with the same outspokenness and the same results. 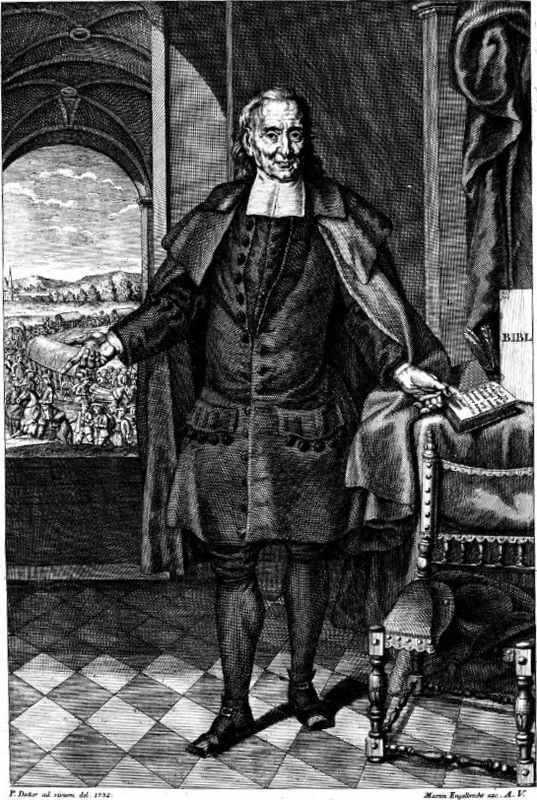 Urbanus Rhegius of Langenargen on Lake Constance, who had been given an excellent humanistic education, was banished from Augsburg and preached “the unknown path of true repentance” in Hall and Innsbruck and, as a roving fugitive, carried the torch of the pure gospel through the Etsch and Inn Valleys to the Tux(er) and Defereggen Valleys belonging to the Archbishopric of Salzburg. The superstitious devilry in Altötting, which was promoted with a miracle-working image of Mary for the purpose of profiteering from pilgrimages to that Bavarian town in the Salzburg diocese, compelled Wolfgang Russ, originally from Ulm, to testify to the evangelical truth there. Johann Staupitz was not a man of bold action. He never decisively stepped forward to confess and testify to his deeper life of faith in God’s grace as the only source of salvation, even though Luther had been permitted to draw the comfort of divine grace so deeply and fully from that life of faith when his own life of faith was just beginning, as Luther repeatedly acknowledges in gratitude towards his spiritual father. The thoroughly worldly minded archbishop soon confronted the testimony of the evangelical truth as an adversary, after Rome directly granted his wishes for the unconditional right of patronage for certain bishoprics annexed to his diocese. He succeeded in loosening the inner bond between Staupitz and Luther, the bond of faith and evangelical disposition that Staupitz knew had earlier connected himself to the reformer. Lang was so successful that Luther repeatedly and bitterly complains about this estrangement by Staupitz from his person and his cause. Staupitz was a peace-loving man, bottling up his evangelical faith, and Lang knew how to bring his activity to a standstill, as far as any observable spreading of the gospel was concerned. At the behest of a higher authority, Lang even asked him, since he had been accused of heresy because of his connections to Luther, for a formal declaration against Luther’s heresy. Staupitz could not and would not provide one directly, but in a sense it was still produced in reality by his submission to the judgment of the archbishop. Luther wrote to him about this in bitter grief: “I fear that you are hovering in the middle between the pope and Christ… [Y]our submission shows me a completely different Staupitz from the proclaimer of grace and the cross I once knew” (de Wette, no. 292).5 In the quiet of the abbey Staupitz most likely continued to share Luther’s writings with his monks. Other than that, he did not come out publicly with reformatory thoughts, words, or deeds in any way, while the archbishop was coming out more and more viciously against the evangelical movings and shakings by persecuting the preachers of the gospel. In reference to this, Luther writes to Staupitz: “It doesn’t pain me and your best friends that you have become a stranger to us, so much as it does that you have become the property of that monster, your cardinal. The world can scarcely endure his tyrannical raging, but now you are forced to endure it in silence. It will be a miracle if you do not run the risk of denying Christ” (September 17, 1523; de Wette, no. 530).6 When Staupitz died (1524), St. Peter’s Abbey recovered no small number of writings by Luther and other reformers. These were collected from his estate and burned in the abbey courtyard. The archbishop saw the powerful influence that the zealous preachers were exerting on the people and now began launching vehement persecutions against them. Already in 1520 Paul Speratus had to yield to his vicious proceedings, and Speratus found no support in Johann Staupitz. In the dedication of his work On the Noble Vow of Baptism and Others, addressed to the Grand Master of the Teutonic Order, Margrave Albrecht of Brandenburg, and dated September 16, 1524, Speratus says the following about the occasion of his departure: “That fierce behemoth and wide-eyed leviathan, who sits there in his nest as if in a paradise, could no longer tolerate or endure me, but tried whatever he knew and could until he finally bit me off of himself. What I mean is that I was crying too loudly in his ears against his unrighteous mammon, which is his only god and helper in need. …” Another undaunted witness to the gospel was born in the archbishop’s immediate environs and became his court chaplain and father confessor in Staupitz’s place, namely Stephan Kastenbauer, or Latinized, Agricola. Having come to the evangelical persuasion through Luther’s writings, he preached against the abuses of the Roman Church. For that he was thrown into the dungeon in Mühldorf on the Inn River. When he remained unwavering in his confession, a devilish plan was hatched. He was supposed to be transferred to a tower filled with gunpowder along the Salzburg city wall and be blown into the air with it once he was inside, since they wanted to give the people the impression that fire had fallen from heaven on the heretic. But the slow match was thrown in prematurely and the explosion went off too soon, while Agricola was still on the way to the tower. The hired murderer was unnerved and confessed the foul plan to the people. After a three-year custody Agricola was released and went to be an evangelical preacher in Augsburg. Frantz Drückher, Radtstatt, copperplate engraving, 1666. In Radstadt, the chief stronghold of the archbishopric, a former Franciscan monk, Georg Schärer (or Scherer), had proclaimed the gospel since 1525 with the happy approval of the residents and those who poured in from the surrounding neighborhood to listen to him. He was asked to recant. When he remained steadfast, he was beheaded on April 13, 1528. He was the first martyr for the gospel.8 Certainly, for a number of successive years beginning in 1525, some thirty more persons of both sexes were executed by methods of torment that were slow and terrible. But these people were not confessors of Luther’s doctrine, but Anabaptists (s. Veesenmeyer in C. F. Illgen, ed., Zeitschrift für die historische Theologie 2/2:243ff), people who got so lost in fanaticism that they ended up rejecting the basic truths of the gospel. These Anabaptists called themselves Gardening Brothers, because they rejected all traditional worship in temples of stone made by human hands and held their religious assemblies in gardens out in the open. Against better knowledge, the enemies of the gospel put not only these religio-ethical aberrations, as they developed among those poor people whose religious needs had been shamefully neglected on the part of the church, but also the rebellious activities of the Peasants’ Revolt, which extended to Salzburg, on the same plane as the evangelical-reformatory movement, so that they could brand the latter as a revolt against the authorities and a rebellion against the ecclesiastical and civil estates and could persecute it violently. The archbishop himself was threatened by the miners, when they rallied at the churches of Salzburg at the call of the alarm bell to demand relief from their oppressive circumstances. They triumphantly surged up to the archiepiscopal Fortress Hohensalzburg and expertly besieged it, until they were forced to bow to the might of the Swabian League. They did so, yet not without first obtaining very generous terms for the suspension of their siege. Thus the archbishop was filled with ever-increasing hostility and hatred toward the relentlessly advancing reformatory movement. He sought at first to eliminate its heads and leaders who lived in his diocese (Sprengel) using harsh and violent measures. But he also instigated or tolerated persecutions against all those among the common people who adhered to the message of the gospel, received the Sacrament in both kinds, and raised their voices against the ecclesiastical abuses that he himself had once condemned over against Rome. In connection with this ruthlessly hostile attitude of his toward the evangelical movement in the Archbishopric of Salzburg, it is worth mentioning the remark he made in 1530 at the Diet of Augsburg. He said, “Why would you even try to reform us priests? We priests have never been good. In this affair there are only four possibilities: the first, that we follow you Lutherans—that we don’t want to do; the second, that you Lutherans yield to us—that you say you cannot do; the third, that we reconcile the two paths—that is impossible; which leaves then only the fourth, that each party think of how to do away with the other one.” So fight to the death! That was the watchword. The title page from Paul Speratus’ 1524 German translation of Martin Luther’s 1523 work De instituendis ministris Ecclesiae (left), and the first page of Speratus’ accompanying dedication “to each and every pious Christian in Salzburg and Würzburg” (right). Speratus, who continued to keep in contact with the evangelicals in Salzburg territory from afar, is no doubt alluding to their dangerous situation in the letter he wrote to accompany Luther’s writing How People Should Choose and Arrange for Ministers of the Church,9 which Speratus translated and dedicated to them. In his letter to them he speaks of the Antichrist’s pester-police and jailers, who were sitting on their necks and by whom no one needed to be disturbed. But it also testifies to the extensive reach that the reformatory movement had already gained among the people when he advises them to procure the necessary edification from God’s word in their spiritual need on their own by combining like-minded families, yes, even to have their children baptized by the head of the household. In spite of all the oppressions and persecutions that extended to all the evangelicals in the Salzburg valleys under the successors of Matthäus Lang, the evangelical movement continued its advance, to the dismay of those in power in the church. And it did so precisely through adherance to Paul Speratus’ advice, who had encouraged the evangelicals to put the universal priesthood of believers into practice by appealing to the most holy concerns of the salvation of souls and Christian fellowship. In vain were the evangelical preachers banished; in vain were the administrators of the evangelical fellowships that organized according to Speratus’ directive expelled; in vain were visitations orchestrated, e.g. in 1555, in order to track down and punish the heretics. There were cases where clergymen would exchange their celibacy for marriage, but then such a step would be punished by the church authorities as gross immorality, even as blatant concubinage among the clergy continued to be tolerated. The demands of the people for the cup in the Lord’s Supper grew louder and louder, and Archbishop Johann Jacob let himself be coerced into permitting the cup also to the laity. But a short time later, in 1571, he likewise saw himself forced by higher powers to forbid the giving and receiving of the cup again, on pain of banishment and dishonorable burial. For Rome was keeping a sharp eye on this revolution—a term people also liked to use here for the reformatory movement. 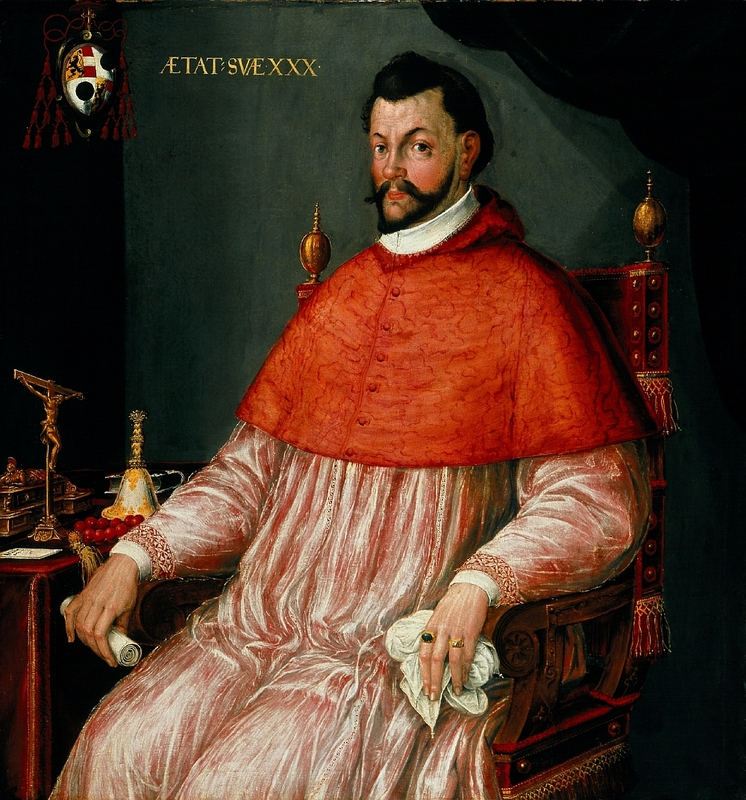 Kasper Memberger the Elder, Archbishop Wolf Dietrich von Raitenau (r. 1587-1612), painting, 1589. The archbishop is perhaps best known today for the beautiful mistress he kept, Salome Alt, with whom he fathered 15 children. It had gained so much ground in Salzburg territory that Archbishop Wolf Dietrich felt compelled by this concern to travel to Rome to obtain instructions there. After returning, he issued a “Reformation Mandate” on September 3, 1588, which commanded all the residents of the city of Salzburg who were “antagonistic to the only saving religion” either to return to the Catholic faith or to leave the country within a month. They were, however, still permitted at this point to sell their real estate and to convert their property into money before their departure. He was able to take the loss of many wealthy people in stride by saying, “Better to have a country pure in faith than one with great treasures.” But when almost all of the wealthy and well-to-do people preferred to emigrate rather than return to the Catholic Church, a second mandate was issued which declared their goods to be confiscated. The result of this was that not a few of the most well-to-do residents emigrated to Austrian lands and the imperial free cities in Franconia and Swabia, while others held fast to Luther’s doctrine even as they maintained outward membership in the Roman Church, while certainly still others let themselves be alienated from the evangelical faith and did public penance in the Salzburg Cathedral with candle in hand and returned to the Roman Church. Under the succeeding archbishop, Markus Sittich, this so-called Reformation Mandate, which had in part only applied to the city of Salzburg, was expanded from 1613 to 1615 to include all of Salzburg territory, since the number of those confessing the evangelical faith had steadily escalated everywhere. Throughout the Pongau people would leave the Catholic churches standing empty and make the trip over to Schladming in Styria to take part in the Lutheran service there and to receive Word and Sacrament in the Lutheran manner. Luther’s writings and the devotional and instructive writings of other theologians, such as Urbanus Rhegius and Cyriacus Spangenberg, were being devoured by individuals everywhere. They were also eagerly read in the frequent gatherings for edification which the evangelicals joined both in certain chief locations where they were already in the majority and in secret sites on secluded farms or in deep mountain valleys. The more spiritual needs were met in such reading- and prayer-gatherings, the less people were inclined to take part in Catholic services, to receive the Supper in one kind, to have masses read for the dead, and to invoke the saints. Yes, in Radstadt those in the evangelical camp were so convinced of the justice of their new religious conviction that they even tried, by way of the prefect there, to petition the archbishop himself to give them preachers of the pure gospel. The archbishop did not fail to take increasingly drastic countermeasures to suppress the evangelical movement. He dispatched Capuchin monks to bring the renegades back to the church. In Radstadt two monks took especially great pains to do so. But to no avail. People ridiculed them “as rotten, stale fish.” Neither there, nor in Wagrain, nor in the districts of Werfen, St. Johann, and Gastein did the archiepiscopal emissaries accomplish anything with their incentives and threats. Then more stringent decrees were issued: Those who were evangelically minded had to return to the old faith within four weeks or fourteen days,10 or else be banished from the country and forfeit their goods. At the same time a search for and confiscation of evangelical books was ordered, as well as incarceration for those disseminating them. Finally, soldiers were sent to the places inhabited mostly by evangelicals in order to root out the heresy completely. Through protracted, costly billeting and perpetration of all sorts of atrocities against the evangelicals, not a few of them, being not yet sufficiently anchored in the faith for a public martyrdom, were forced into a visible return to the Roman Church, even as they secretly retained their anti-Roman views. But a considerable number also went into exile and forfeited property and possessions in order not to deny the faith. Approximately 600 evangelically minded people left Radstadt and the surrounding area and went over into Austrian territory and to Moravia, where a milder treatment of evangelicals was observed at that time. Of the approximately 2500 persons in the valleys and mountains of Gastein, there were perhaps only 300 who let themselves be intimidated into declaring that they would live and die on the Roman Catholic faith. The archbishop believed that the heresy had been entirely rooted out, and proclaimed a special festival of thanksgiving and celebration. But the outward appearance had deceived him. The public gatherings for edification certainly ceased. Spies and policemen made it impossible for the evangelical preachers to go around from valley to valley. But many who outwardly associated with the Catholic Church out of fear and compulsion fed their souls in private and in secrecy between their four walls by reading Holy Scripture and the magnificent devotional writings of the evangelical church, which they had kept hidden and saved from confiscation, together with Bible and hymnal, in the ground, under the floorboards, in cellars, in lofts under hay and straw, or in concealed cabinets. Children were secretly instructed in the faith of their fathers. After those persecutions were over, the evangelical truth once again quietly began to spread out still further within Salzburg territory. Joannes Jenet, Archbishop Paris von Lodron, copperplate engraving, 1627. But in spite of all this, these rights were trampled underfoot in Salzburg territory under Archbishop Maximilian Gandolf. In 1683 a congregation of secret Lutherans, consisting of simple miners and farmers, was discovered by Jesuit spies in the Defereggen Valley, located on the southern border of the archbishopric along the border of the Tyrol, encircled and secluded by high mountains. In spite of all the earlier tracking down and persecuting of heretics under Archbishop Markus Sittich, this congregation had preserved and anchored themselves in their evangelical faith through covert gatherings for edification and by secretly reading the Bible, the postils of Luther and Spangenberg, and other devotional writings, especially Urbanus Rhegius’ Spiritual Medicine13 and Johann Arndt’s True Christianity14 and Little Garden of Paradise,15 and by singing and praying from Starck’s and Habermann’s prayerbooks,16 while outwardly following the forms and customs of the Catholic Church. The violent measures taken against them, the fervent attempts at conversion by the Capuchin monks who were incited against them, and the judicial persecutions on the part of the prefect of the district of Windisch-Matrei had the opposite effect of what was intended. Under the guidance of one of their fellow members, Joseph Schaitberger from Dürrnberg by Hallein, a simple miner firmly grounded in the faith and truly enlightened by the Spirit of God, they now resolutely stepped out into the open with their profession of the pure gospel without flinching, and bravely and dauntlessly refused to participate in Catholic services, masses, or pilgrimages. The archbishop cunningly attempted to get them to be considered as a special sect, belonging neither to the Augsburg nor to the Reformed confession, so that the aforementioned stipulations of the Peace of Westphalia would not apply to them. But when their representatives, Joseph Schaitberger among them, were summoned to appear in Hallein and then in Salzburg, they did not let themselves be confused by the tricky questions that were posed to them.17 They openly and freely professed the doctrine of Luther and the Augsburg Confession. They were detained in prison for a long time, at the same time being harassed by the Capuchins with their threats and attempts to convert them. All efforts at persuading them to recant were in vain. Then they were released, but required by the archbishop to deliver him a written presentation of their faith. Joseph Schaitberger prepared this as clearly and thoroughly as it could possibly be; he was well versed in the Bible, deeply grounded in evangelical knowledge, and well-informed by Luther’s writings of the contrast between Roman and Lutheran doctrine. He delivered it to the archbishop with the request that they be left undisturbed in their worship and returned the children of whom they had been robbed. With this presentation the archbishop in his cunning had gotten what he wanted. In the simple, evangelical-biblical confession of the faith of these people, he had the proof of their heresy and their apostacy from the church in his hands in black and white. Now he felt justified in taking the cruelest measures. He deprived them of their mining income, forbade them from selling their family properties, had their Bibles and evangelical books taken away and burned, and tried to frighten them with heavy fines and penal labor. To no avail. The vast majority refused to be rattled in their religious allegiance or flinch in their profession of the Augsburg Confession. Only a small number of the weaker ones let themselves be induced into a sham retreat to the Catholic Church. Then the archbishop issued that cruel edict, driving those who refused to recant out of the country in the middle of the harsh winter of 1685 and forcing them to leave their children and their belongings behind. The poor mothers cried for their children in vain; nearly 600 children in total were held back. Married couples were torn apart; children and infants were taken away from their grieving fathers and mothers to be brought up in the Catholic faith. In troops of 50 to 60 people, the miserable outcasts marched over the snow-covered mountain passes, poverty-stricken, robbed of the most basic necessities, in severely cold weather, in order to find refuge in Ulm, Augsburg, Nuremberg, Frankfurt am Main, and even further into Swabia and Franconia. According to the later testimony of Johann Martin Zandt, an ambassador from Württemberg, not including those who escaped secretly, 429 known persons emigrated with government passes from the Defereggen Valley alone, and there were 311 children and a fortune of 6000 Gulden withheld just from them, while the total number of emigrants amounted to more than 1000. Zandt obtained his information on this execrable treatment by the archbishop from the records of the high court in Salzburg in 1688, when by order of his duke he had to investigate the case of the expellees on location. He made repeated circular trips through the Salzburg valleys at great risk in order to strengthen in faith and in patience his oppressed fellow believers who had stayed behind. In vain he sought to recover his two daughters. The older one, already married by now, set out for Nuremberg to persuade her father to return to the Roman Church. But the opposite happened. In the process of her endeavor she herself was brought to the evangelical faith by her father, and from then on she stayed with him to help support him. For his fellow believers in the homeland he was and remained the blessed lay preacher and spiritual shepherd through his numerous circular letters, which he addressed to them concerning truths of the faith and questions pertaining to Christian living. They deal with, e.g., the narrow way of the cross on which pious children of God should follow after Christ, the spiritual Christian mirror, and the evangelical art of dying of the children of God. All of these circulars were printed together and comprise in this collection the famous Evangelical Circular (Evangelischer Send-Brief) by J. Schaitberger (1702).18 Next to Luther’s and Spangenberg’s postils and Johann Arndt’s True Christianity, it was the most treasured devotional book of the Salzburgers. The emigrants would later ask for it often as they were passing through Augsburg: “Hobts kain Schaitberger? [You don’t by chance carry a Schaitberger? 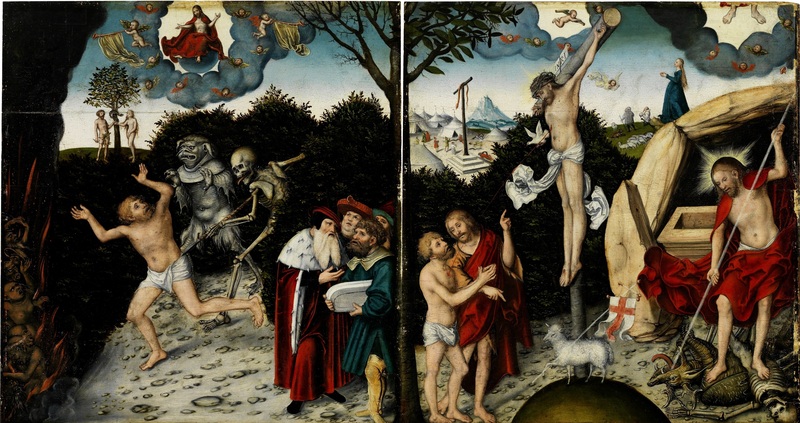 ]” Besides his exile’s hymn, two of his other hymns, “Du Spiegel aller Tugend [O mirror of all virtue]” and “Jesu meine Lieb’ und Leben [Jesus, my love and life],” were especially dear to the Salzburgers. He died in Nuremberg in 1733 at age 76, after the magistrate had removed all cares from his waning years by providing him with a place to live in the hospital of the Carthusian monastery. Jacques Vaillant, Friedrich Wilhelm von Brandenburg, oil on canvas, c. 1680. 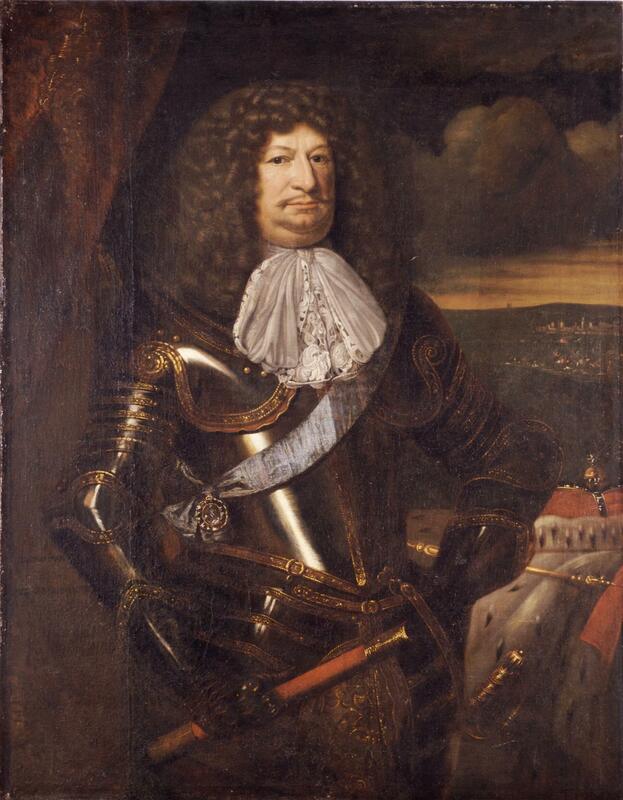 While an outcry of indignation over the cruel treatment of the Salzburg Protestants rang throughout evangelical Germany, Friedrich Wilhelm, “the Great Elector” of Brandenburg, was the first Protestant prince to espouse their cause against the archbishop and to reproach him for his grave injustice (February 12, 1685). But it had just as little effect as the repeated, earnest objections of the evangelical estates in Regensburg. One marvels at how warmly the elector welcomed sectarian and rebellious people in foreign countries. 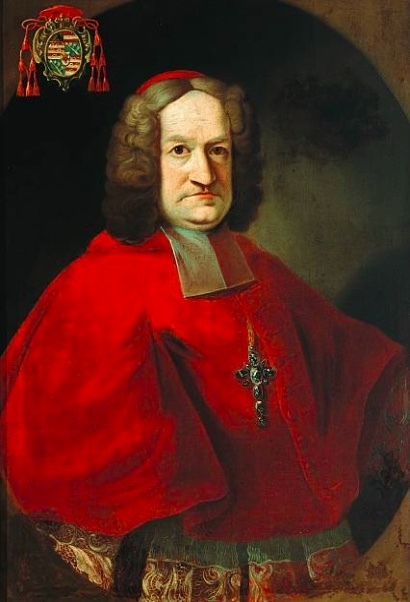 The rule of that cruel persecutor’s successor, Archbishop Franz Anton, from 1709 to 1727 was a more peaceful period for the evangelical Salzburgers. During this period the evangelical religious life regained strength in the Salzburg valleys, effected by the reading of the best evangelical writings and Schaitberger’s circulars, which made the rounds from congregation to congregation, and in particular by the numerous gatherings for prayer and edification that were now tolerated. But the battle was renewed all the more vehemently and cruelly under the frivolous, avaricious, pleasure-seeking Archbishop Leopold Anton Baron von Firmian beginning in 1727. The old oppressions and persecutions were repeated, which showcase the same sorry spectacle again and again: extortion of ostensible conversions through the cunning and wiles of the Jesuits; seizure and burning of Bibles and devotional writings; utterly false accusations of those who steadfastly confessed the evangelical faith as dangerous rebels and insurgents; lengthy incarceration of unyielding witnesses to the faith in prisons that jeopardized health and life, e.g. at the High Fortress above Salzburg and at the castle in Werfen; imposition of exorbitant, harsh fines; deprivation of work in the mines, workshops, marble quarries, and forests; occupation of evangelicals’ homesteads and houses by executive soldiers; and forced emigration minus belongings and children, who had to be left behind. The evangelicals were treated with particularly fierce hostility for refusing to give the proper response to the greeting prescribed by the pope in 1728. 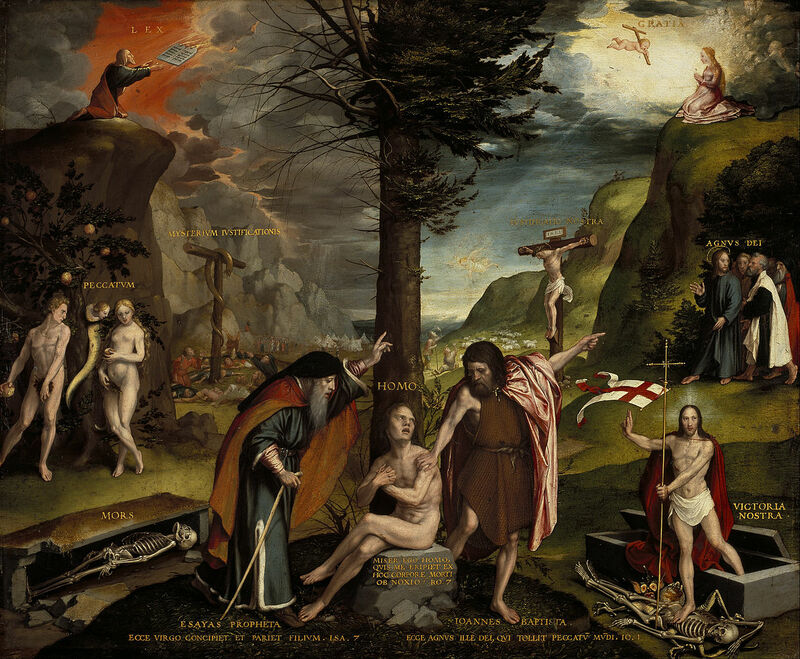 The greeting was, “Blessed be Jesus Christ,” and the response was, “from now into eternity.” They would not make themselves complicit in the sinful misuse of Jesus’ name that they saw in the greeting, since Rome had promised 200 days of indulgence from purgatory for each time it was used. But all these sufferings steeled the courage of these poor people. They put up brave resistance to the attempts, made with deep guile and great might, to bring them back to the Roman Church, and they devoutly and firmly stuck together as a single evangelical nation of brothers. The two farmers Hans Lerchner and Veit Bremen, from the districts of Radstadt and Werfen respectively, were the first to bemoan their distress to the evangelical estates in Regensburg in January 1730 and to ask them to intercede with the archbishop so that those banished might be permitted to sell their property and bring their belongings and children along.19 But the Corpus Evangelicorum, an ecclesiastical agency that was already paralyzed by its tedious business routine, was unsuccessful in its negotiations with the archiepiscopal ambassadors and with the archbishop himself. Their objections to his violation of the already mentioned paragraphs of the Peace of Westphalia were in vain. Incited by the Jesuits, the archbishop consistently stuck to the strategy he had once affirmed with an oath after a few glasses of wine, exclaiming that he would have the heretics out of the country and that thorns and thistles would grow in their fields. In 1731 the evangelicals formed a coalition to dispatch a number of delegates to Regensburg from the districts of Radstadt, Wagrain, Werfen, St. Johann, and Gastein with a new grievance concerning their unjust, cruel treatment and with the petition that either they be granted freedom of conscience and evangelical preachers or that they be permitted to sell their belongings and emigrate with wife and children. But the delegates waited in vain in Regensburg for their grievance and petition to be settled. In the meantime the archbishop knew how to use cunning to bring them unreservedly out into the open with their profession of the pure gospel and their testimony against Rome. That way he could gauge the extent of the movement and the number of heretics, and take his additional measures accordingly. Under the appearance of a favorable disposition, he announced in the districts from which the grievance had proceeded that the case of the complainants would be investigated by a commission. The commissaries sent from Salzburg issued a summons that all who did not wish to belong to the Roman Church should appear before them. Having answered the summons, the evangelicals now declared to them that they would be obedient and subservient to the archbishop as their sovereign in all secular matters, but in regard to their faith they were compelled to beg him to grant them freedom of conscience, since in religious affairs one must obey God more than men. And when they were asked to which of the three publicly recognized confessions they belonged, they testified unanimously that they were evangelical Lutheran Christians. The commissaries now further required them to submit a list of all their names within three days. How astonished they were, then, as was the archbishop, when the number of Protestants recorded in the lists within that three-day deadline came to more than 20,000. The archbishop now felt that much more compelled to exert all guile and might to root out the heresy. So the evangelicals also now had to band together that much more firmly, in order to defend their faith as one man. 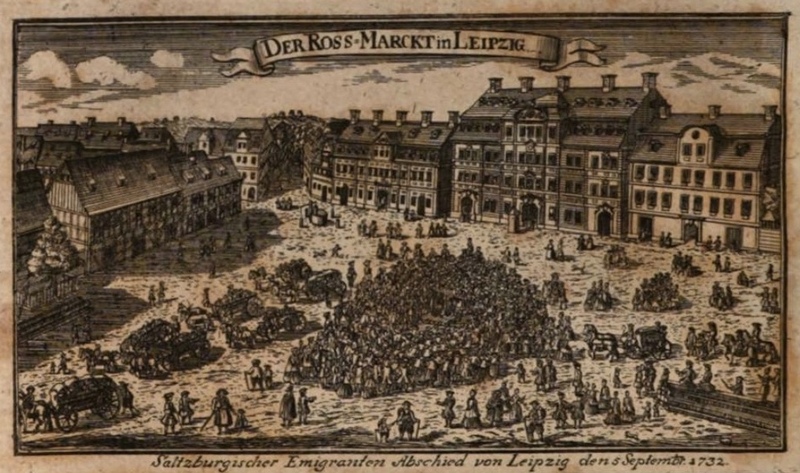 Approximately 300 men assembled on August 5, 1731, in the small market town of Schwarzach as representatives of the entire host of witnesses. Around a round table, on which a saltcellar had been placed, sat the elders of the congregations; the rest formed a large circle all around them. One of them now solemnly called for the contracting of a life-and-death covenant of loyalty to the evangelical faith. Then they all, one by one, stepped forward and dipped their oath fingers20 into the salt, touched the salt to their mouths, then swore with right hand raised toward heaven that they would adhere to the evangelical faith even to the point of death. And they did this with reference to the statement in 2 Chronicles 13:5, which says that Jehovah contracted a “covenant of salt” with David and his sons. Afterward the men knelt down to pray and committed the cause of their religious covenant to the Lord. They resolved to send a delegation to the emperor21 in Vienna. But the 21 delegates were arrested on the way and brought back to Salzburg for lacking passes and for this “act of rebellion” against their sovereign. In Salzburg they received cruel treatment as insurgents and rebels. In vain had the evangelical ambassadors in Regensburg made new remonstrances with the archbishop’s ambassadors against the unjust treatment of the Salzburg Protestants. They could not expect any help from the emperor. Then the evangelical ambassadors turned to their princes with the request for their intervention. Of these, it was the Prussian king Friedrich Wilhelm I who immediately stepped in for the cause of the oppressed with intense religious zeal. In an order dated October 23, 1731, he assigned his ambassador, Baron von Danckelmann,22 in conjunction with the rest of the evangelical ambassadors, the task of threatening the Archbishop of Salzburg, by way of his ambassadors, with countermeasures against the Catholic subjects in evangelical lands. The king also had the baron add the assurance that he was prepared to implement these countermeasures at once, once they had been decided upon by the Corpus Evangelicorum. However, due to the incompetence and impotence of this agency, no decisive steps were taken on behalf of the ever more harshly persecuted Protestants. The cruelties against them were renewed. The evangelical estates now complained to the emperor over the illegal actions of the archbishop. The emperor answered that he had already warned him to observe the imperial laws. Then, in disdain and defiance of everyone, the archbishop issued his infamous Emigration Proclamation (Emigrationspatent)23 dated October 31, 1731, in which all evangelicals were publicly ordered to move out of the country, under the charge of holding public gatherings for edification contrary to the archbishop’s prohibition, and under the false accusation of contracting a seditious covenant for the extermination of the Catholic religion and calumniating this religion along with their sovereign. All non-settled persons, domestic servants, day laborers, mine workers, foundry workers, and lumberjacks over 12 years old were dismissed from their jobs without pay, effective immediately, and had to vacate the country within eight days. The burghers and artisans were deprived of their citizenship and professional licenses, effective immediately, and together with all settled persons had to sell their real estates and houses and then clear out within a period of 1-3 months. The proclamation’s aim was the economic ruin of the propertied people and the forced conversion of those who were dependent and lived from hand to mouth through their work. But with few exceptions they stood their ground. The non-settled were hoping to gain a deferral until spring through the intercession of the evangelical estates, but in vain. They were mercilessly driven out into the winter cold. The settled obtained a deferral until St. George’s Day, April 23, 1732, as the final deadline, but they were so harassed and persecuted by soldiers, district officials, and priests in the meantime that a good portion were already deserting the country in the middle of the winter. The negotiations of the evangelical estates of Germany, which were constantly being conducted with the archbishop and his ambassadors from the Regensburg base, and the intercession with the emperor by the Protestant powers outside of Germany on behalf of the hard-pressed Salzburgers were unsuccessful. Nevertheless, by God’s providence, they did receive comfort and aid in their distress, which by now had intensified in the extreme, through the King of Prussia. Two 1732 Prussian coins commemorating the Salzburg Emigrants. Rf. endnote 24 for source information. Actual comparative size not reflected. A Prussian commemorative coin from the year 1732 shows on the front the portrait of Friedrich Wilhelm I. On the back it shows the arrival of the Salzburgers in Prussia with wife and children, opposite them the figure of Prussia in military attire with a shield, and above them the radiant eye of God. The inscription beneath them reads: “GÆD. DER SALZB. EMIGRANTEN. 1732.” (Commemorating the Salzburg Emigrants, 1732), and encircling the scene are the words of Genesis 12:1: “GEHE IN EIN LAND DAS ICH DIR ZEIGEN WILL” (Go into a land that I will show you) (Spies, Münzbelustigungen 1:217-218).24 The poor Salzburgers with no country saw it as God’s guidance and the answer to their prayers when the Prussian king granted them refuge in his country and thereby put an end to every illusion of rescue on the part of the evangelical estates, on which their hopes had hitherto been based. Already in November 1731 two of their delegates had set out for Berlin in order to invoke the king’s assistance in their great distress, Peter Heldensteiner and Nikolaus Forstreuter. They and their fellow countrymen had been slandered by the Catholics as heterodox sectarians. But an examination of them ordered by the strictly religious king and conducted by his consistorial councilors Johann Gustav Reinbeck and Michael Roloff revealed, to the king’s great satisfaction, their articulateness and firmness in the evangelical faith. They proved themselves to be genuine allies of the Augsburg Confession, all Roman Catholic lies notwithstanding, and the king informed them that even if several thousand were to come into his lands, he would welcome them all; give them house and farm, fields and pastures out of supreme favor, love, and pity; and treat them as his own subjects. 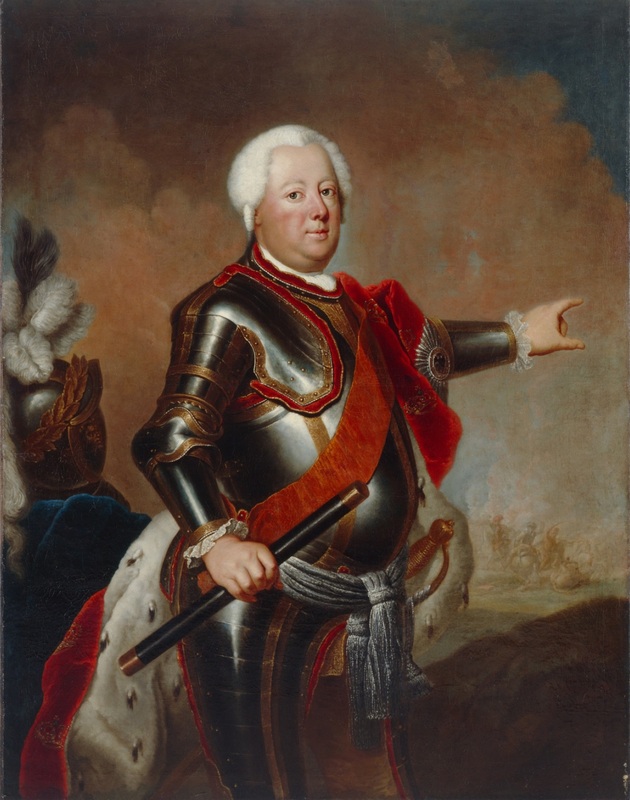 Antoine Pesne, Friedrich Wilhelm I, King of Prussia, oil on canvas, after 1733. Now in February 1732, as the persecutions in Salzburg were at their worst, the king issued a proclamation in which he declared that he would lend his evangelical brothers and sisters in the faith, who were being so fiercely oppressed and persecuted, a kind and helping hand and welcome them into his lands out of Christian, kingly pity and heartfelt compassion. He had not merely implored the archbishop to grant them free departure and to consider them as his prospective subjects, but he was also imploring all the princes and estates of the empire to let them have free, safe, and undetained passage through their lands and to render them that which a Christian owed his neighbor, so that they could continue their arduous journey. Moreover, he was even going to have his commissaries in Regensburg and Halle count out traveling money for them—5 groschen per man per day; 3 groschen, 9 pfennig per woman or maid per day; and 2 groschen, 5 pfennig for every child per day. If these people who were henceforth his subjects were denied free departure or wronged in their goods and chattels in any way in their forsaken homeland, he would demand an accounting and ensure redress. He threatened to sequester equivalent Catholic property belonging to the monasteries of Magdeburg and Halberstadt for any loss they experienced. Following Prussia’s lead, Denmark, Sweden, and the States-General of Holland threatened similar countermeasures. The king ordered that the emigrants be escorted to their new homeland on the most direct routes. 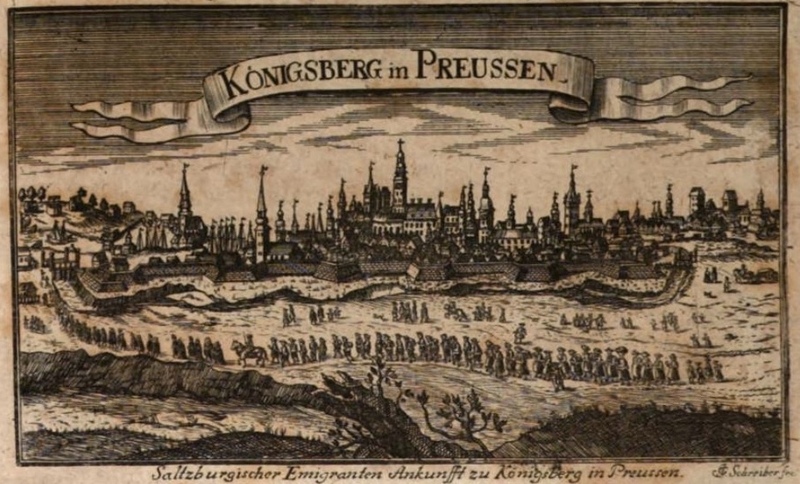 In troops large and small they now marched through German lands, after the king had dispatched a special commissary in the person of his councilor Johann Göbel to receive them and to guide their platoons to Regensburg. Johann Georg Schreiber, Salzburg Emigrants Departing from Leipzig on September 5, 1732, engraving, 1732. The composer Johann Sebastian Bach was employed as the St. Thomas Cantor in Leipzig at the time and may have witnessed this scene, which took place about 1 km to the southeast of St. Thomas Church. Johann Michael Franz and Johann Georg Ebersberger (Homann’s Heirs), Prussian Lithuania, 1735. I have superimposed dots with different-colored centers to identify important cities more easily: Memel (today Klaipėda; aqua), Tilsit (today Sovetsk; brown), Ragnit (Neman; silver), Georgenburg (Jurbarkas; green), Insterburg (Chernyakhovsk; black), and Gumbinnen (Gusev; pumpkin). All of these cities except Georgenburg and Gumbinnen were district seats, and the districts were named after them. The lake in the southeast corner is the Wischtiten or Wystiter See (today Lake Vištytis). The map also includes an inset of the newly laid out Gumbinnen city plan, since a considerable number of Salzburg emigrants settled there. Note that clicking on the image will take you to a separate site where you can zoom in much closer. One drove followed the next. Even those who were still weak and wavering in the faith left their Salzburg homeland behind to exchange it for Lithuanian territory, strengthened and emboldened by the assistance the Prussian king was giving. The poor exiles received much comfort and strengthening in their faith as they passed through the German lands and cities, but their loyalty to the faith and martyrdom for the gospel also redounded in turn to the shame, revitalization, and strengthening of German Protestantism. The sight of these droves of honest people marching along with their hymns and holding their services on the country roads, trusting in God with simple, childlike faith, was a powerful testimony to the faith for evangelical Germany, and it did not fail to produce a revitalizing and uplifting effect. And how their distress aroused and stirred up everwhere not just such genuine edification but also Christian brotherly love! At the instigation of the King of England,25 a public collection for them was organized in all evangelical countries, which brought in 900,000 gulden. There were competing efforts between southern and northern Germany to welcome and retain them and to prepare a new homeland for them. Many young people quickly formed intimate connections, and many a young female exile found happiness by joining a German household or family. All the essentials of the story of the young couple in Göthe’s lovely epic poem, “Hermann und Dorothea,” actually happened when the exiles passed through the Altmühl Valley in Franconia, except that the poet portrayed the scene against the political background of the French Revolution instead of the original religious background on which it is based. They humbly and politely declined nearly all the invitations they received to settle in the various regions and cities through which they traveled. They wanted to remain together under the scepter of the Prussian king who had been the first to open his country to them and to welcome them as his subjects and children. They wanted to remain as they found themselves reassembled in Berlin, their great rallying point, after the long separation caused by their departure from Salzburg and by their variously routed passage through Germany. From Berlin they proceeded to their new, remote homeland. More than 20,000 Salzburg colonists populated the broad plains of Lithuania, which were empty and desolate as the result of a terrible plague. The sacrifices that the king made for their reception and colonization were more than richly repaid through the blessing bestowed upon that poor land by receiving these diligent, industrious, intelligent, shrewd, firm-in-faith, and truly God-fearing Salzburg emigrants. In 1882 their grateful descendants, as loyal subjects, sent a salute of homage from Lithuania to their beloved Emperor and King Wilhelm, whose ancestor 150 years earlier had been the instrument that God used to fulfill his words, “Go into a land that I will show you” (Genesis 12:1), and to do so precisely through that numerous host of staunch witnesses to the faith from the Archbishopric of Salzburg. Johann Georg Schreiber, Salzburg Emigrants Arriving at Königsberg in Prussia, engraving, 1732. Today Königsberg is Kaliningrad, the administrative center of Kaliningrad Oblast, Russia. Samuel Urlsperger, Ausführliche Nachrichten Von der Königlich-Groß-Britannischen Colonie Saltzburgischer Emigranten in America, part 1 (Halle: Waysenhaus, 1741); part 2 (ibid., 1746). Note (trans. ): These two volumes contain the first through twelfth of the 18 total continuations of Urlsperger’s Nachrichten or reports. Karl Panse, Geschichte der Auswanderung der evangelischen Salzburger im Jahre 1732 (Leipzig: Leopold Voß, 1827). Note: includes a list of sources. 1 Erdmann, or perhaps his editor, had Turgau for Lungau, but this is incorrect. In more recent times, the northern Salzburggau has been subdivided into the Flachgau and the Tennengau. Gau means province. 2 Erdmann simply had Achen, which appears to be the older, simpler name of the Krimmler Achen (see e.g. A Handbook for Travellers in Southern Germany, rev. 9th ed. [London: John Murray, 1864], pp. 354-355). 3 Erdmann cited p. 90, but I was unable to identify the edition to which he was referring. The quote is found on p. 60 of the 1621 Frankfurt Latin edition (Historiae Concilii Tridentini Libri Octo); p. 62 of the 1622 “new edition” in Latin; p. 228 of the 1761 German Halle edition (Historie des Tridentinischen Concilii, erster Theil); p. 102 of the 1757 Italian “London” edition (Istoria del Concilio Tridentino, tomo primo; actually printed in Lyon or Geneva); and p. 52 of the 1676 English London edition (The History of the Council of Trent). 4 Erdmann cited the volume, no. 1, and the page numbers: 208, 213, and 216, respectively. 5 I have supplied the citation here (vol. 1, p. 558), since Erdmann omitted to do so. My translation is of Erdmann’s somewhat free German rendition of Luther’s Latin. 6 Erdmann cited the volume and page number: 2, 408. Regarding the translation, rf. endnote 5. Cf. Luthers Works (AE) 49:48-49; no. 135. 7 I have reproduced this account from Zauner in greater detail, since Erdmann, by abridging it, gave the impression to those unfamiliar with the geography of western Austria that the carousing, liberation, and beheading all took place in and around Mittersill. 8 This statement needs to be qualified in order to stand. 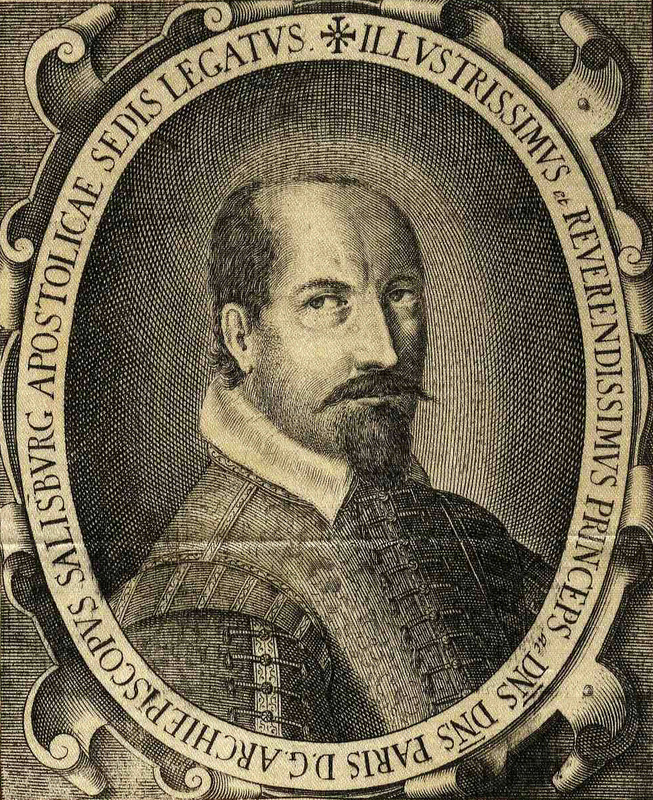 Schärer does appear to have been the first martyr for the gospel in the Archbishopric of Salzburg. Christ himself identifies Abel and Zechariah as martyrs in the Old Testament (Luke 11:50,51). Many consider Stephen to be the first Christian martyr in the New Testament period (Acts 7:54-60), though an argument could be made on behalf of the holy innocents of Bethlehem for that title (Matthew 2:16-18). 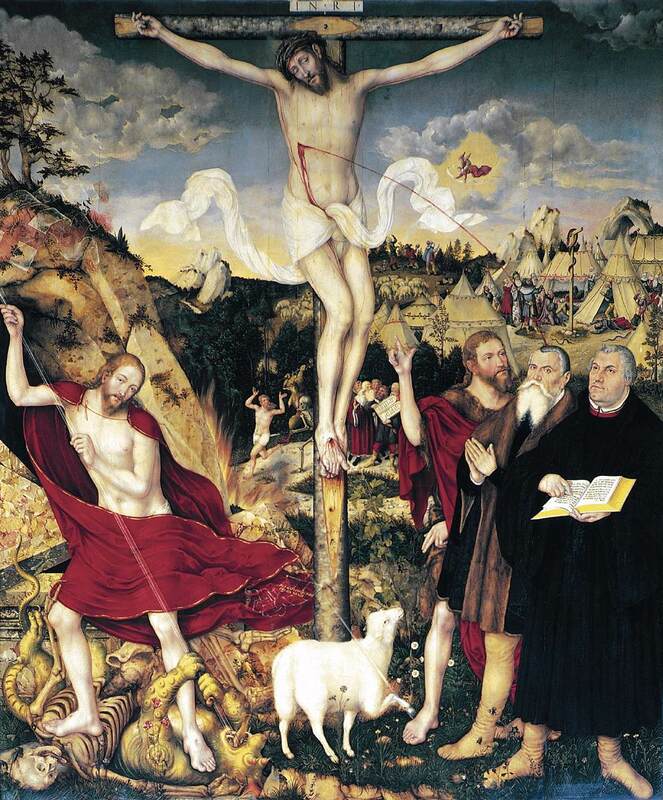 In the time of the Reformation, Luther himself considered the Augustinian monks Hendrik Vos and Johannes van den Esschen to be the first martyrs for the sake of the gospel, saying, “I thought I would be the first to be martyred for the sake of this holy gospel, but I am not worthy of it” (rf. Martin Brecht, Martin Luther: Shaping and Defining the Reformation, pp. 102-103). They were burned at the stake in Brussels on July 1, 1523, almost five years before Georg Schärer’s beheading, and Luther penned his first hymn in their memory (cf. LW [AE] 53:211ff). 9 Rf. St. Louis Edition of Luther’s Works, vol. 10, cols. 1548ff. In the American Edition, this work is titled Concerning the Ministry (vol. 40, pp. 3ff). 11 Rf. Peace of Westphalia Texts and Translations (accessed 27 Dec 2017). 12 While the Corpus Evangelicorum was organized as a corporation and agency of the Empire at the 1653 Diet, the diet that convened in Regensburg ten years later (1663) never dissolved, out of fear that the Emperor, who now (as of the Peace of Westphalia) had to abide by all its decisions, would no longer convene a diet, he being the only one who could legally do so. The 1663 Diet thus became a perpetual diet until the Empire fell in 1806. Erdmann’s original sentence, which includes “ever since 1663,” may refer to the perpectual efficacy of this agency beginning in that year. 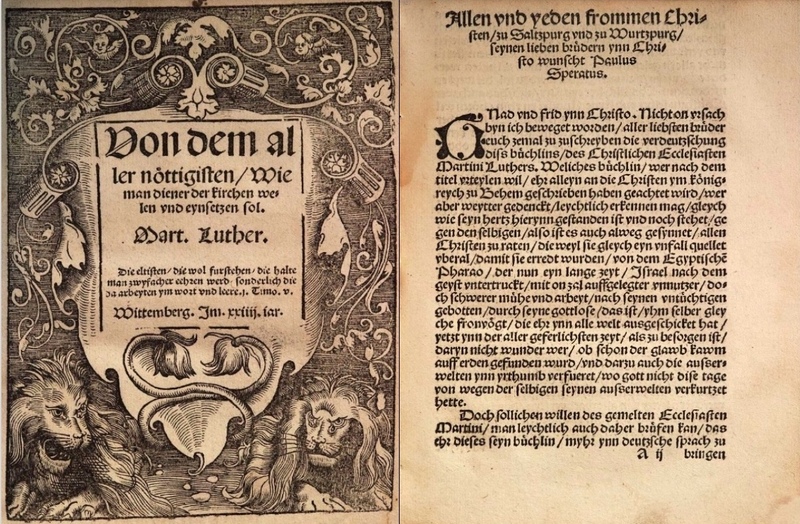 13 First edition titled Seelenn ärtzney für gesund vnd krancken zu disen gafärlichen zeyten (Augsburg: Alexander Weyssenhorn, 1529). 14 First edition, consisting of the first of the eventual four books, printed in 1605 in Brunswick. All four books printed together in 1610 under the title Vier Bücher Von wahrem Christenthumb (Magdeburg: Joachim Böel). 15 First edition published in Magdeburg in 1612. 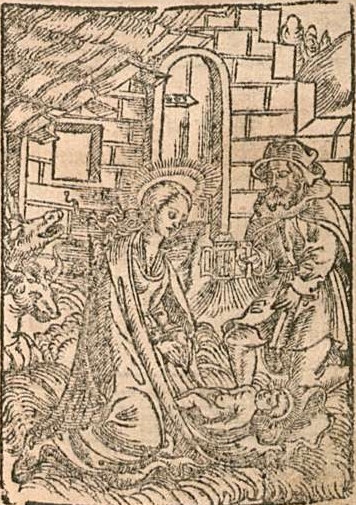 A 1625 edition bears the title Paradiß-Gärtlein Voller Christlicher Tugenden (Strasbourg: Paulo Ledertz). 16 Erdmann is doubtless referring Johann Friedrich Starck’s immensely popular Tägliches Handbuch, but erroneously so. These Defereggers cannot have been acquainted with that book, since Starck had only been born three years earlier and his famous work was not published until 1727. The other reference is to Johann Habermann’s (or Avenarius’) Christliche Gebett für allerley Noth und Stände der ganzen Christenheit (1st ed. : Wittenberg, 1567). It underwent a second edition that same year and was frequently reprinted thereafter. 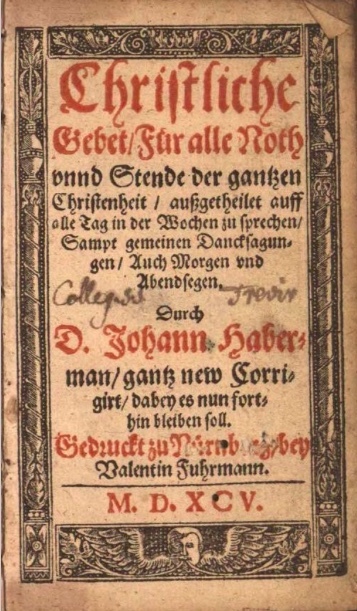 It was often called simply Habermanns Betbüchlein (Habermann’s prayer booklet), and it is commonly recognized as the highest-selling Lutheran prayer book in history. 17 Throughout Schaitberger, a resident of Dürrnberg, is associated with the evangelical Defereggers, even though they were certainly involved in separate, even if related, incidents. Dürrnberg is separated from the Defereggen Valley by more than 100 miles. 18 Erdmann has 1708, and there was perhaps another printing that year, but the first printing appeared in 1702. The more well-known second edition, the Newly Enlarged Evangelical Circular (Neu-vermehrter Evangelischer Send-Brieff), made its debut in 1710 (see picture of title page above). 19 Erdmann has “so that those banished might be permitted to go and retrieve their wives and children,” which falsely gives the impression that a) Lerchner and Bremen had already been banished, and b) that those banished were also deprived of their wives in some cases. 21 Charles VI, r. 1711-1740. 23 This is usually inaccurately translated “Edict of Expulsion” with obvious Protestant bias. It certainly was an edict of expulsion, but that is not how the archbishop wished to present it. 24 Johan Jakob Spies, Die brandenburgischen historischen Münzbelustigungen, part 1 (Ansbach: Hofbuchhandlung, 1768). Erdmann mistakenly gives the date of the inscription as 1737. He also mistakenly cites p. 210. 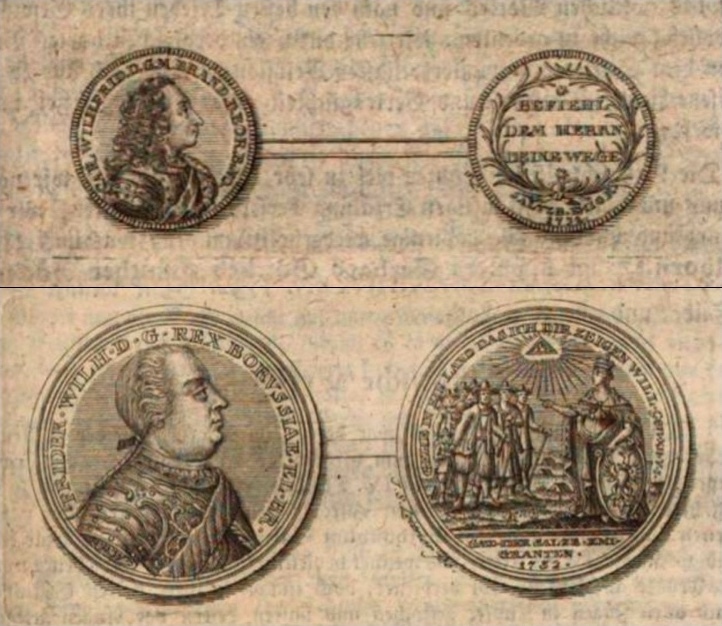 Pages 209-210 do feature another 1732 coin commemorating the Salzburg emigrants, with Friedrich Wilhelm’s portrait on the front and the words of Psalm 37:5 encircled by a garland on the back (see coin pictures above). Until recently, the term “Salzburgers” as it relates to Lutheran history had completely escaped me, to my own detriment. The history of Lutheranism in the former Archbishopric of Salzburg (whose land now comprises part of Austria since being annexed in 1805) is one of repeated persecution, dating back to the expulsion of Paul Speratus in 1520, for expressing his evangelical views too openly, and the beheading of Georg Scherer (or Schärer) in Radstadt on April 13, 1528, for refusing to recant the Lutheran doctrine he was preaching. There were also exiles decreed in 1588 and 1613-15. The Peace of Westphalia of 1648 was supposed to put an end to such persecution, but in the Archbishopric of Salzburg it did not. The article below – translated from the Allgemeine Deutsche Biographie (Leipzig: Verlag von Duncker & Humblot, 1890), vol. 30, pp. 553-555 – describes the cruel banishment of Joseph Schaitberger and more than 1000 others in 1685-1686. And thus Joseph Schaitberger became an inspiration to the many more thousands who were banished by a later archbishop on October 31, 1731 (not a coincidental date), and who emigrated in 1732. God willing, this is the first in a series of translations pertaining to Schaitberger and the Salzburg exiles that will appear here. I pray that these translations remind us just how precious our gospel-centered faith is, and strengthen us in the conviction that it is founded on the pure Word of God and is therefore worth any distress we might have to undergo for believing it and sharing it. 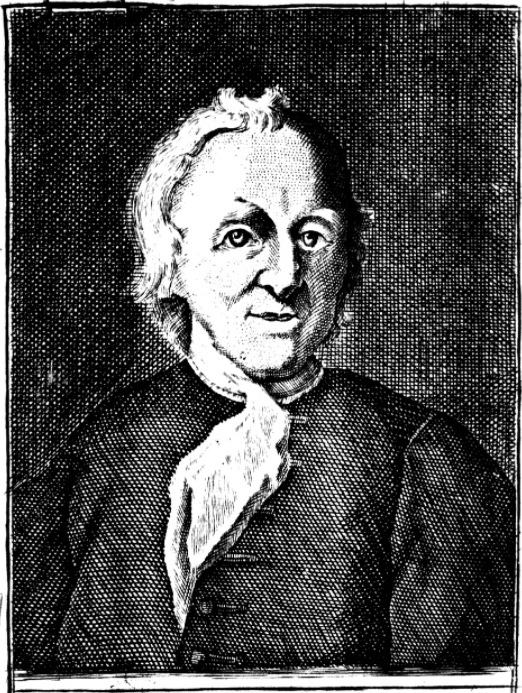 Joseph Schaitberger, as depicted in a 1733 Nuremberg edition of his Neu-vermehrter Evangelischer Sendbrief, probably based on the portrait above. Schaitberger: Joseph S. (or Scheitberger), Salzburg exile and evangelical author of devotional literature, born on March 19, 1658, in Dürrnberg by Hallein in the Salzkammergut, died on October 2, 1733, in Nuremberg. — His parents were the peasant and miner Johann Schaitberger and Magdalena née Danner from Berchtesgaden, both devoted to the evangelical religion, which had already found acceptance in Salzburg territory in the 16th century and from then on always had many secret allies among the mountain dwellers. Educated in reading and writing by his brother, who was schoolmaster in Dürrnberg, he devoted himself to the miner’s vocation and married Margarethe née Kümmel from Berchtesgaden when he was 25. In addition to working hard as a miner, however, he constantly and fervently occupied himself with the reading of Holy Scripture, Luther’s House Postils, and other evangelical devotional writings. When a religious persecution broke out in 1686 under Archbishop Maximilian Gandolf in the Tefferecker [or Tefferegger or Defereggen] Valley against the secret Protestants there, Schaitberger was also arrested along with others of his fellow believers, brought to Hallein in fetters, from there was delivered to the royal court in Salzburg, and was imprisoned there under harsh conditions for 50 days. During this time two Capuchin monks made fruitless attempts to bring him back to the fold of the Roman Church. Thereafter he was set free again, with an order to draw up his confession of faith in writing and submit it to the Archbishop of Salzburg. He openly and freely professed Luther’s doctrine and the Augsburg Confession and petitioned the archbishop that he and his fellow believers be left undisturbed in their worship and be returned the children that had been robbed from them. Instead he was dismissed from his mining job, divested of his possessions, condemned to fourteen days of penal labor on bread and water, and finally, since he refused to solemnly renounce his evangelical faith, was driven from the country with other evangelical Teffereckers [or Defereggers], more than 1000 in number, being forced to leave their possessions and children behind. He found a place of refuge in Nuremberg, where he was cordially welcomed and where he remained until the end of his life, earning his living as a day laborer, woodworker, and wire-drawer. After the death of his first wife (d. 1687), he entered into a second marriage with Katharina Prachenberger from Berchtesgaden, who bore him four sons but died already in 1698. Twice he dared to return to his homeland secretly and at risk to his life, partly to strengthen in faith and patience the fellow believers he had left behind there and partly to get his children out. Only one of his daughters followed him back, with the intention of winning him over to the Roman Church. But the opposite happened: She became convinced of the truth of the evangelical faith and decided to stay with her father, where she made a meager living by knitting. Schaitberger himself, once he grew old and was no longer able to work, was accepted by the Nuremberg council into the so-called “Mäntel Foundation of the Twelve Brothers [Mäntel’sche Stift der zwölf Brüder],” a charitable institution otherwise dedicated only to Nuremberg citizens. He also received financial assistance from friends abroad, who respected him highly for his simple piety and his unwavering confession of the evangelical truth, including the Augsburg preacher and senior Samuel Urlsperger, as well as the Memmingen Preacher J. G. Schelhorn, who gathered a generous collection for him in December 1732 and refreshed him with it shortly before his blessed end. Not long before his death he also greeted in Nuremberg the new Salzburg emigrants, who had been banished from their homeland in 1731 by Archbishop Firmian and were once again seeking a place of refuge in Germany. Cf. Samuel Urlsperger, Joseph Schaitberger (1732). • J. G. Schelhorn, De Religionis Evangelicae in Provincia Salisburgensi Ortu Progressu et Fatis Commentatio Historico-Ecclesiastica (Leipzig, 1732). • J. G. Schelhorn, Ergötzlichkeiten aus der Kirchenhistorie und Literatur (Ulm und Leipzig, 1762), I:494ff. • Georg Andreas Will, Nürnbergisches Gelehrten-Lexicon (Nuremberg und Altdorf, 1757), III:481ff. • Hirsching, Friedrich Carl Gottlob and Johann Heinrich Martin Ernesti, Historisch-literarisches Handbuch berühmter und denkwürdiger Personen, welche in dem achtzehnten Jahrhundert gelebt haben (Leipzig, 1808), X/2:227ff. • Johann Heinrich Zedler, Grosses vollständiges Universal Lexicon Aller Wissenschafften und Künste (Halle und Leipzig, 1742), XXXIV:815ff. • Johann Caspar Wetzel, Historische Lebens-Beschreibung Der berühmtesten Lieder-Dichter (Herrnstadt, 1724), III:29ff. • Christian Friedrich David Erdmann, “Salzburger” in Real-Encyklopädie für protestantische Theologie und Kirche, 2nd ed. (Leipzig, 1884) XIII:323ff. • Karl Panse, Geschichte der Auswanderung der evangelischen Salzburger (Leipzig, 1827). 1 I edited the title Wagenmann gave to reflect that found in the 1710 edition at my disposal and available online. 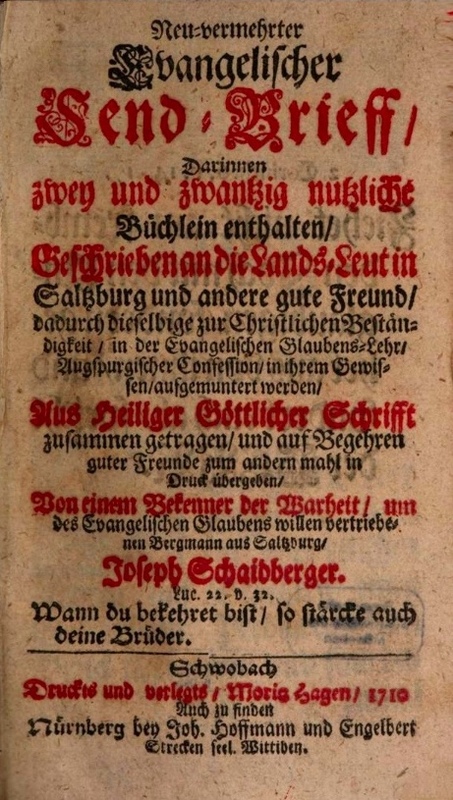 The title Wagenmann gives, which he appears to have taken from a later edition, reads: Neuvermehrter evangelischer Sendbrief, darinnen 24 nützliche Bücher enthalten, geschrieben an die Landsleute in Salzburg und andere gute Freunde, darin dieselben zu christlicher Beständigkeit in der evangelischen Glaubenslehre Augsburgischer Confession in ihrem Gewissen aufgemuntert werden. Wagenmann does not have “2nd ed.” The first edition was titled Evangelischer Send-Brief, Samt noch etlich andern Unterricht-, Vermahnungs-, und Trost-Schrifften an seine liebe Lands-Leute in Saltzburg und Tefferecker Thal. Darinnen dieselbige zur Christlichen Beständigkeit in der Evangelischen Glaubens-Lehr Augspurgischer Confession, nach ihrem Gewissen angemahnt werden. Of the contents enumerated above, it included only 1-7 and 9-11. It first appeared in 1702 and appears to have been reprinted in 1708, but neither of these were available to me. 4 In all the editions of Schaitberger’s Sendbrief at my disposal in which his hymn for exiles is found, there is one more stanza after the one with which Wagenmann concludes: “The man shall here remain disguised | Who did these verses fashion; | He papal doctrine has despised | But Christ professed with passion.” However, at the time of this posting, I did not have access to any 1732 edition. In the 15th century, even before Luther was born, more hymns and songs were beginning to appear in German, including a paraphrase of this antiphon with its own melody. In the early 1520s, Luther repeatedly appealled to men like Georg Spalatin for scripturally sound, clear, and appropriate Psalm arrangements and hymns in German. His appeals basically fell on deaf ears, so Luther himself took up his pen and composed more than 20 hymns between 1523 and 1524 that appeared in the first evangelical hymnals of 1524. One of them was, “Komm, Heiliger Geist, Herre Gott,” which is known at least in Wisconsin Synod circles as, “Come, Holy Ghost, God and Lord” (Christian Worship 176). The heart and mind of those believers of yours. This was one of Luther’s favorite hymns, as he made clear in 1539, when he told his companions, “The hymn, ‘Come, Holy Spirit, Lord God,’ the Holy Spirit himself composed about himself, both the text and the melody” (WA TR, #4478). One of Luther’s changes was to begin the fifth line with, “O Lord,” probably both to tie this original stanza with the two new ones he composed (whose fifth lines also begin, “O Lord”) and to emphasize the divinity of the Holy Spirit. Your burning love kindle in them. The people from all the world’s tongues. May this, Lord, to your praise be sung. To call him Father from our hearts. And trust in him with all our might. [And help] the tribulation not to drive us away. And through death and life press on to you. With his additional two stanzas, the hymn, while not reflecting Luther’s best poetry, nonetheless is a treasure of biblical, and thus Lutheran, theology. He highlights salvation by grace alone, apprehended through faith in Jesus alone, worked through the Word alone. The doctrine and importance of the means of grace – the gospel of Jesus in Word and sacraments – is especially highlighted in st. 2. This doctrine is the driving force behind Luther’s prayer in that stanza for purity and correctness of teaching. The theology of the cross, another hallmark of Lutheranism, is highlighted in st. 3 in gripping terms. “All your graces” in line 2 of st. 1 is a misunderstanding of Luther’s “deiner Gnaden Gut,” which is really just a poetic way of saying, “your grace.” It thus misses the stress on God’s saving love in Christ. Lines 6 & 7 of st. 1 turn Luther’s accomplished historical, gospel fact into a plea for something as-yet unrealized to be realized. “Call him Father with delight” in line 4 of st. 2 is a little unfortunate, though perhaps necessary in our modern world of broken homes and failed fatherhood in abundance. Luther’s original emphasis was simply on knowing and calling on God as a Father, period, as opposed to knowing him as an angry judge and being afraid to call on him or to have anything to do with him. The translation that personally bothers me the most is the rendering of Luther’s, “rechtem Glauben” (“correct faith”), as, “living faith.” Certainly we want a living faith (as St. James makes clear), but perhaps now more than ever we need to emphasis that there is also a correct believing and an incorrect believing, and it is only correct believing (that is, believing in the truth) that can and will be living faith in the truest form. That this is the proper way to understand Luther’s phrase is probably best proved by the German compound noun which combines precisely these two words, Rechtgläubigkeit, which we would translate as orthodoxy, but many of us don’t know what orthodoxy means either – teaching and believing the right way (which implies there is a wrong way – contrary to the popular American expression, “You just gotta have faith…”). “Grant us the will your work to do” in line 2 of st. 3 neither captures the connection between “süsser Trost” (line 1) and “getrost” (line 2) in Luther’s original nor the meaning and beauty of line 2 as a whole. It’s always unfortunate when the concept of steadfastness gets lost in translation, as it does in line 3 of st. 3. I was asked by a committee within our synod to study this hymn, and I found that I could not really meditate on it properly or with full edification without at least making my own attempt to rectify these problems. My own opinion is that my rendition of st. 3 below is the best of the three, while the rendition of st. 1 could probably use the most improvement (for which I will gladly take advice from readers). The hymn itself is a prayer – a prayer especially appropriate for Pentecost, but also for every day of our lives. This powerful prayer is also my own in presenting a new translation of it below. Nor by our trials be driv’n away. Press on to you in heav’n through grief and grave. The original Latin stanzas of Prudentius’ hymn can be found here. The entire hymn can be found here, along with other hymns of Prudentius. I produced this translation in 2008 when the congregation I serve (Jerusalem, Morton Grove, IL) was planning to celebrate the Feast of the Holy Innocents. Stanza five is not part of Prudentius’ original Latin text but an original, additional stanza that I authored in order to include Matthew’s point that this event happened as a fulfillment of Jeremiah’s prophecy. Pastor Prange set the hymn to the tune, “O Heiland, reiss die Himmel auf” (Christian Worship 22). When Herod sought our Savior’s life. That God’s own Son to us draws near. And reign as King of Israel. 4. O, what is gained from this offense? What profit comes from violence? As Christ was safely whisked away! Because her children are no more! With martyr-palms and crowns you play!